Jack Archer jnr dominated Durban chess from 1927 until 1943. Archer was the first Durban born player to become South African Champion. His father, also Jack Archer, was a strong player too. In the 1939 South African championships, held in Durban, both father and son competed (which was a unique occurrence in our National championship until 2014, when Shabier Bhawoodien was joined by his son Mohamed). Archer was educated at Durban High School and joined the Durban Chess Club as a schoolboy. He won the Durban championship for the first time in 1927. Legend has it that Archer played in the championship on 14 occasions from 1926 to 1945, and won the event 12 times! His two "failures" came on his debut in 1926 (he tied for second, ½ point behind McCord) and again in 1929, when he tied for 1st place, but Leonard Pierce defeated him 2-0 in a play off match for the title. Archer made his debut in the South African championships in 1928 as a teenager, and scored 6 points out of 14. For reasons not entirely clear to me, the next championships was only held in 1935, a break of 7 years! Archer scored 8½ points out of 11 (+7-1=3) and finished in 1st place ahead of Blieden (8), Heidenfeld (7), Siegheim (7) and others. Archer ably defended his title in 1937, scoring 7½ out of 11 (+5-1=5) but this was ½ point less than joint winners, Dreyer and Wolpert, who tied for first with 8 points. The result was clouded by controversy. Dreyer and Archer met in the 6th round and their game was adjourned in a tricky position. Unfortunately the position was set up incorrectly (Bishop placed on g7 instead of on h6) when the game was resumed! Neither the arbiter nor the players noticed, and Archer duly won the game on resumption. This error was discovered about an hour after the game ended. After much discussion, the organising committee ordered that the game be replayed, and this time Dreyer drew the game. Under current FIDE rules, I'm quite sure that the original result of a win for Archer would have been upheld, making him the rightful winner of the 1937 championship. 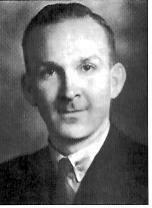 In 1938 Archer played a 4 game friendly match against Wolfgang Heidenfeld in Durban, winning the match by 3-1 (+2=2). This was an impressive result as Heidenfeld was to win the South African championship a record 8 times between 1939 and 1959. The 1939 event in Durban saw Archer score 8½ points again (+6=5-0) yet this was only good enough for second place behind a rampant Heidenfeld, who scored 9½ points. Taking these three events together, we see that Archer scored 18 wins, 13 draws, and 2 losses - a remarkable achievement. The Second World War then intervened, and Archer played no more championship chess until 1949, when he was persuaded to play in the event held in Durban. After losing his game in the first round, Archer withdrew, saying that the strain of tournament play was too great for him. He never again played in a serious chess competition.